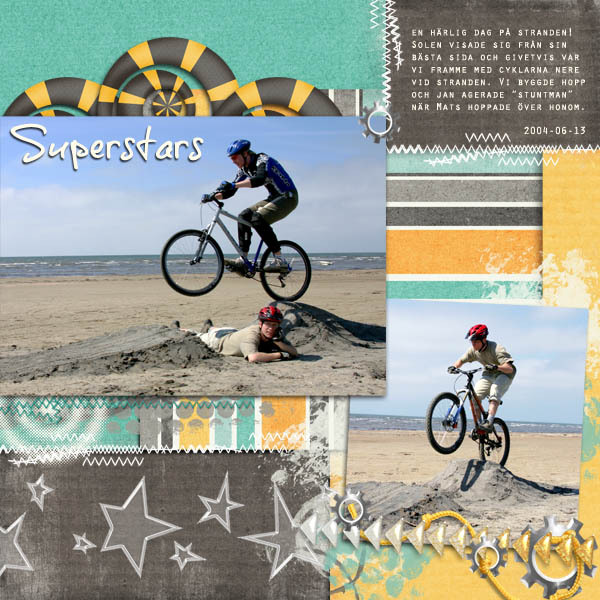 Cheri from Dream Big Designs have created some really usefull stuff for this months Mix a Kit over @ ScrapMatters. 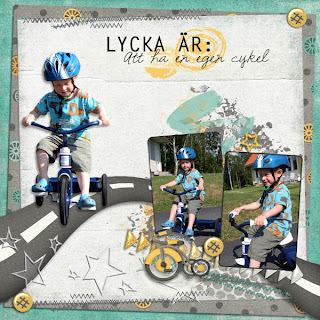 It's called Bikes and Trikes and you can get pattern and solid papers, graffiti and elements. 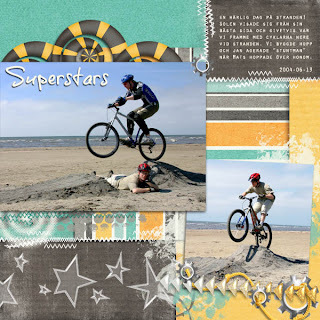 Since my husband (and I) were avid mountainbikers before we got kids I had a lot of fun photos that I could scrap with. T for me design moving sale!